There are 10 reviews of La Chasse Aux Papillons Extrême. 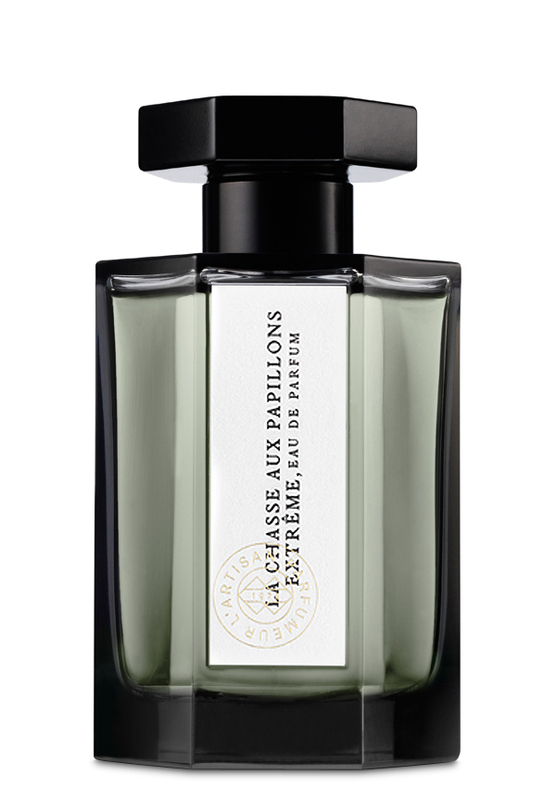 In the interest of honesty, I should admit that I think the original Chasse Aux Papillons is one of the world's best perfumes, so I think I tend to judge Extreme a bit too harshly, just because it's a flanker to something that was already pretty much perfect. With that, what does Extreme smell like? Well, it's got that same wonderful mix of natural-smelling jasmine and orange blossom, but paired with the smell of a freshly sawed plywood board. Given time, the slightly dusty, vaguely chemical-treated wood smell fades to a buttery smudge of sandalwood, which I think actually pairs quite well with the flowers. Tuberose and cut grass - not freshly cut grass, but grass that's been cut for a few days and is turning to hay, with the sun shining on it. There's a sharpness to it which makes me not like it that much, but I do keep coming back to it so something in me must like it! Psychedelic butterfly white flower nectar. Fresh, green and spicy white florals.I haven't tried the original so I do not know if this is "extreme" or not. Simply a beautiful array of pink peppers and white florals. This is a work of pure beauty. A dizzying floral bouquet that evokes a freshness and joy that is almost tangible. While I wouldn't say this fragrance is especially unisex, the Extreme version has a much more pronounced citrus/lime note that is very apparent in the drydown. The pink pepper in this fragrance is undeniable in the drydown. This citrus is beautiful and enjoyable. The original La Chasse Aux Papillons is still a beautiful floral, but it is more sheer, less sweet, less hesperidic, and definitely less spicy. It definitely falls in the realm of "feminine" for me, while the Extreme version teeters ever so slightly toward the unisex threshold. For the record -- I would purchase a bottle of this. I do not know if many other men could or would consider wearing this, but I'm unapologetic. It is quite beautiful. There are no member images of La Chasse Aux Papillons Extrême yet. Why not be the first?